Hello, and welcome to the Ultimate Mammy-Two-Shoes website! For years, one of the best Tom and Jerry characters of all time has been banned from television. 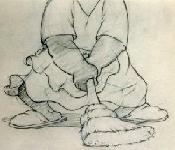 Mammy has made appearances in many cartoons, and she is personally one of my favorites. Tom and Jerry cartoons aren't the same without her. Her cartoons have got to be the funniest in the series. Please, enjoy yourselves at this website. Feel free to read about her history, view pictures of her, listen to her original dialogue, and talk about her and other Tom and Jerry related material on the meassage board and chat room! Please remember to think of her films as historical context and not racisism. 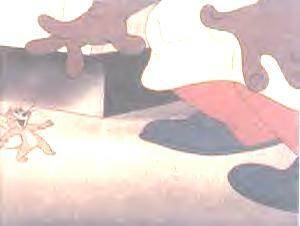 Mammy-Two-Shoes, Tom & Jerry, and all related indica are copyrighted by Warner Bros. and/or Turner Inc.